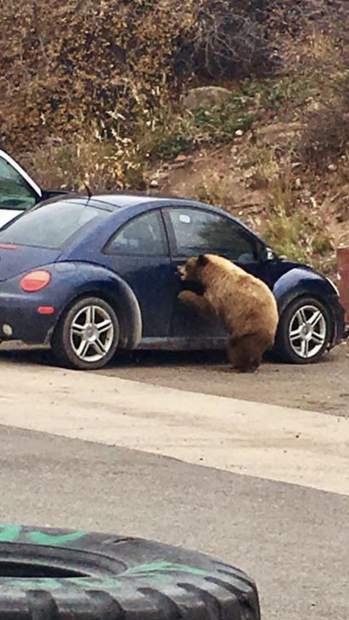 A cinnamon-colored bear that has been making its presence known in the Aspen Business Center area attempts to open a car door with its mouth earlier this month in the parking lot of Aspen Crossfit at the ABC. “He just looked at me like, ‘Hey, what’s up? '” Larson said.